Cash for Cars in Los Angeles. Get Paid for Junk Your Car Fast! Sell your car in LA fast. We buy junk cars in 24-48 hours and tow your car from your home or office for free! Get your guaranteed offer by entering your zip code below. Are you tired of your unreliable car breaking down on Hollywood Boulevard? Has your engine crapped out for the last time in the Dodgers Stadium parking lot? Whether you can’t stand your current car or it’s been banged up by the bad drivers in downtown LA, it’s time for something new. Selling your car isn’t exactly a good time, between posting ads, answering inquiries, and making yourself available for tire-kickers. You could send it to the scrapyard or contact a ‘cash for cars’ program, but you’ll never get what your car is actually worth. Damaged Cars has over 11 years of experience buying cars. We buy totaled, damaged, broken cars and old cars in Los Angeles, CA. Best of all, we pay cash value for cars of all kinds. 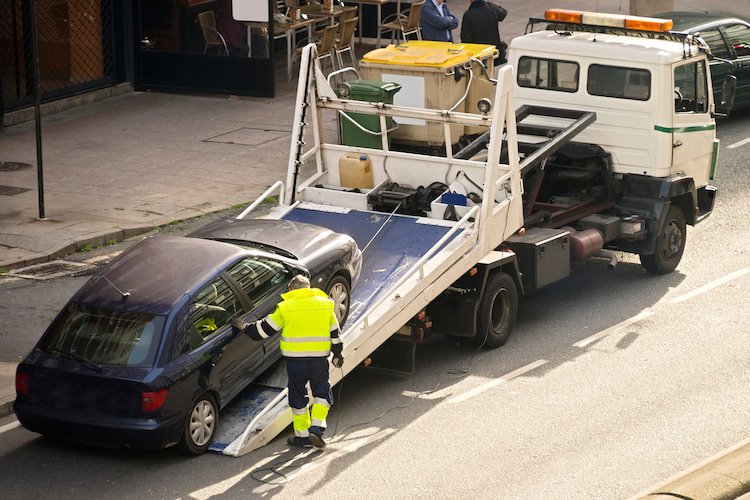 We tow your car from your location for free, and pay you on the spot! Find out how much your car is worth by getting your offer right now. Where Can I Sell My Car for Cash in Los Angeles? You have the standard choices for selling used and junk cars. Unlike the others, we deal mainly in buying ‘less-than-perfect’ cars. Mechanically broken-down, junk cars, totaled or damaged cars, or otherwise – it doesn’t matter what type of car you’re trying to sell. Damaged Cars is an great alternative to the bother of selling your junk car for cash any other way. Who Buys Junk Cars in Los Angeles? Junk cars, totaled cars, scrap or junk cars, mechanically-damaged cars and broken cars – we pay cash for cars of every type. Running or not, we pick your car from where it sits. We never charge you any fees to use Damaged Cars’ service, making it even simpler. Looking for a Local Junk Yard in Los Angeles? You’ll find junk yards in Los Angeles and all over California. If you’ve ever Googled ‘junk yard in Los Angeles or ‘junk yard near me’, check out Damaged Cars. Instead of hauling your junk car to a scrap yard for a pennies on the dollar, let us help you get more for your unused, unwanted, or ‘less-than-perfect’ car. A Los Angeles salvage yard may charge you to haul your car away, or pay you a next to nothing for your car. There’s a better way, and that’s Damaged Cars. When you want to sell your car for cash, we’re the best option around. We ask only for the information we actually need. 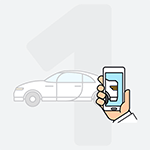 Once you submit the required information, we’ll give you a guaranteed offer for your car. If everything looks good to you (and we trust that it will), simply accept the offer we provided you. We’ll confirm the details with you and arrange to pick up your car. 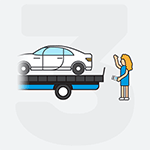 We tow your car for free within our LA towing zones. As a highly-respected and professional company, we care about our reputation and our valued clients. We’re available to help you through every step of the car selling process. Every offer we make is based on the individual situation. 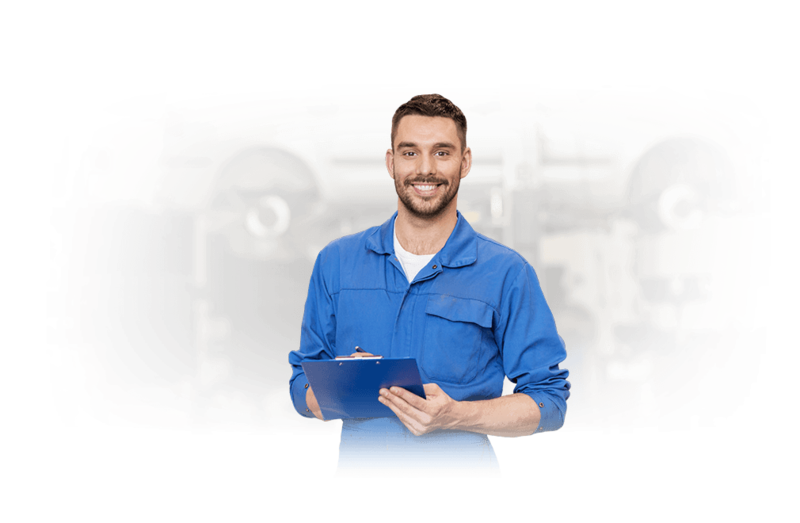 Primarily, the vehicle condition, your location, the year, make, and model, the mileage, and other information you provide factors into our offer. What should I avoid with local junk yards? Don’t take a price lower than you agreed upon. A favorite tactic for LA’s junk yards is to settle on a price, then try to renegotiate when picking up your car. If they try that, send them packing. Don’t give it away for free! Your car has value, even if it’s for salvage. 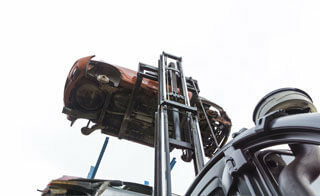 How is DamagedCars.com different from other Junk Car buyers in Los Angeles? DamagedCars.com provides the best cash-for-cars experience. Our proprietary Damaged Cars tool uses recent, local market pricing. We factor in your car’s condition based on mileage, year, make and model, trim level, and photos when necessary. All of this information helps DamagedCars.com offer you the best dollar for your guaranteed offer. Unlike many other services, Damaged Cars won’t try to take your car until we’ve you’re paid. Until you get your check, your car stays yours. We want to maintain our great reputation and customer satisfaction, which is why we provide our customers an easy-to-use, convenient, and secure service. Is it a good idea to Sell Car Parts for Cash in Los Angeles? Don’t do it! It’s inconvenient and it’s not safe. When you sell car parts for cash in Los Angeles or anywhere else, you’re stuck with an undriveable car indefinitely. You need to co-ordinate with buyers to pick up the parts they are buying and haggle on a price for a part. You’ll never part out the whole car on your own, leaving a shell of a car to deal with at the end. Stripped cars are a dangerous in your driveway with sharp edges and loose pieces in many cases. And there’s always a change you can get ripped off by a buyer when you try to sell car parts for cash. Where do you buy cars in Los Angeles? 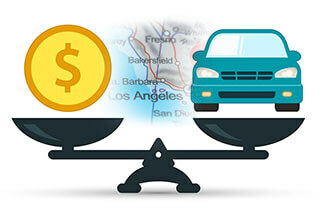 We buy cars from most neighborhoods in and around Los Angeles. We serve Aliso Village, Chinatown, Boyle Heights, Hobart, Montebello, Hollywood, Jefferson, Culver City, Fairfax – virtually anywhere you are in Los Angeles, CA. Every state has different requirements to transfer your vehicle title. 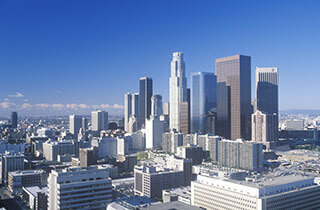 Visit this page to find specific information for title transfer information for California. Would you buy my totaled car? Yes we will! We specialize in damaged cars of all types including salvage cars and totaled cars. No matter how the extent of damage there is, we will work with you to buy your totaled car in LA. Simply fill out the form for a guaranteed offer today! They call Los Angeles the City of Angels. But, then there’s the 405. Known nationwide as hugely traffic-laden, pothole-filled and slow-moving, that particular 72-mile stretch of road connecting San Diego and Northern California is in no way angelic. Combine the 405 with the Los Angeles winter rains, winds and 3.8 million other residents, and LA drivers are almost 50% more likely have a car accident than the national average, according to a recent insurance report. If you live in Los Angeles, Beverly Hills, Van Nuys, Santa Monica, Inglewood, Whittier, Downey, Long Beach or anywhere else, DamagedCars.com will buy your salvage car, wrecked or mechanically defective vehicle. 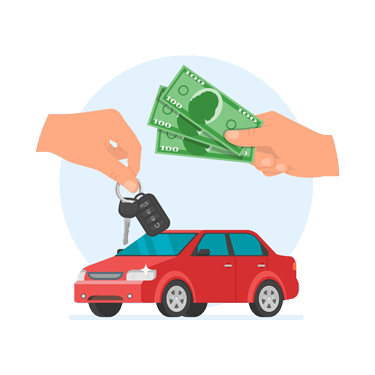 Submit a quote to start the process to get cash for your car in Los Angeles and money for your damaged late-model car, truck or SUV in Woodland Hills. We’ll even work with you on what to do after a car accident to get you the best value for your car. Every state has unique requirements for transferring a title. California is no different. When transferring a title, accuracy is key. California titles require two signatures. Both are on the front of the title. The first is in the center of the title and is labeled "Signature of Registered Owner" A second signature is required for the odometer statement. The field is labeled "Transferor Seller Signature" located on the lower left. Anyone listed as “Owner” on the front of the title must sign as “Seller” using the exact same name shown on the title. Only the “Owner” can sell a vehicle and the state of California requires a title for the sale of any car, truck or SUV. So, if you don’t have the title, before you sell your damaged car, you need to visit the nearest California Department of Motor Vehicles office for a duplicate title.